Parkinson's Disease is the second most common neurodegenerative disorder affecting millions of people worldwide. In order to find neuroprotective strategies, a clear understanding of the mechanisms involved in the dopaminergic death of cells that progresses the disease is needed. Oxidative stress can be defined as an imbalance between the production of reactive species and the ability to detoxify them and their intermediates or by-products. Oxidative damage to lipids, proteins, and DNA has been detected in autopsies from individuals with Parkinson’s Disease and so links can be made between oxidative stress and Parkinson’s Disease pathogenesis. This book provides a thorough review of the mechanisms by which oxidative stress and redox signalling mediate Parkinson’s Disease. 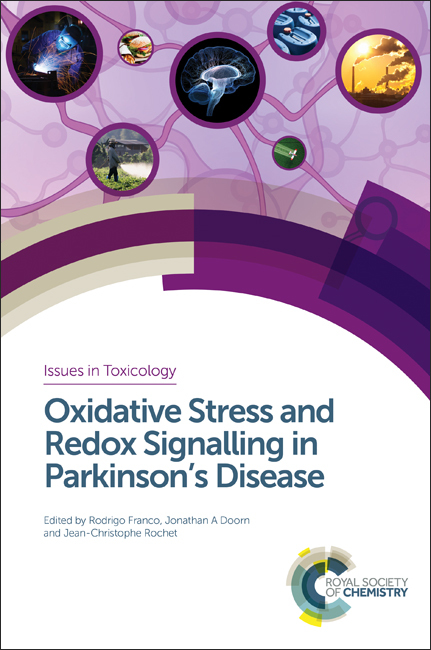 Opening chapters bring readers up to speed on basic knowledge regarding oxidative stress and redox signalling, Parkinson’s Disease, and neurodegeneration before the latest advances in this field are explored in detail. Topics covered in the following chapters include the role of mitochondria, dopamine metabolism, metal homeostasis, inflammation, DNA-damage and thiol-signalling. The role of genetics and gene-environment interactions are also explored before final chapters discuss the identification of potential biomarkers for diagnosis and disease progression and the future of redox/antioxidant based therapeutics. Written by recognized experts in the field, this book will be a valuable source of information for postgraduate students and academics, clinicians, toxicologists and risk assessment groups. Importantly, it presents the current research that might later lead to redox or antioxidant – based therapeutics for Parkinson’s disease. "The book should be of interest to all individuals who are interested in PD." "With a comprehensive and integrated view on the biology of PD, the Editors and Authors of the book are likely to be instrumental in stimulating a deeper understanding and promoting renewed collaborations on this multifaceted topic, leading to improved understanding of PD."